My mom received her December Quilty Box on Christmas Eve and we made her wait until we were all together on Christmas Day to open it. The box was very small (thin) this month and looked quite mangled from it's delivery journey. My mom was hoping nothing fell out or was ruined. I didn't get to take a picture of the box before she opened it, so I'll just go through each item she received. The theme for December's Quilty Box was Give. There was a paper that listed everything included. I don't have the paper with me, but I'll do my best to describe everything. 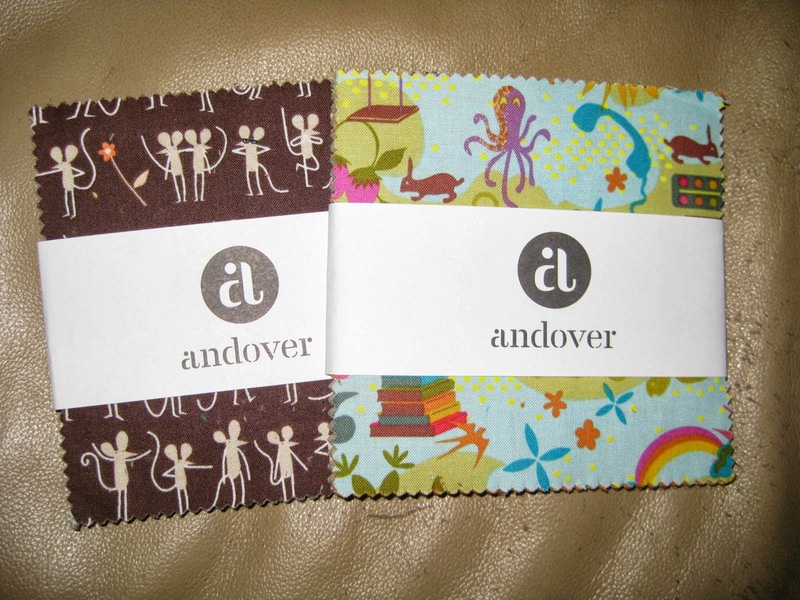 The first item was Andover fabric squares. Retail Price $10.95. We received two of the smaller lines and these fabrics are so cute. One has mice and cats and patterned fabric, and the other has whimsical animals and patterned fabric. Both will definitely make an interesting project. 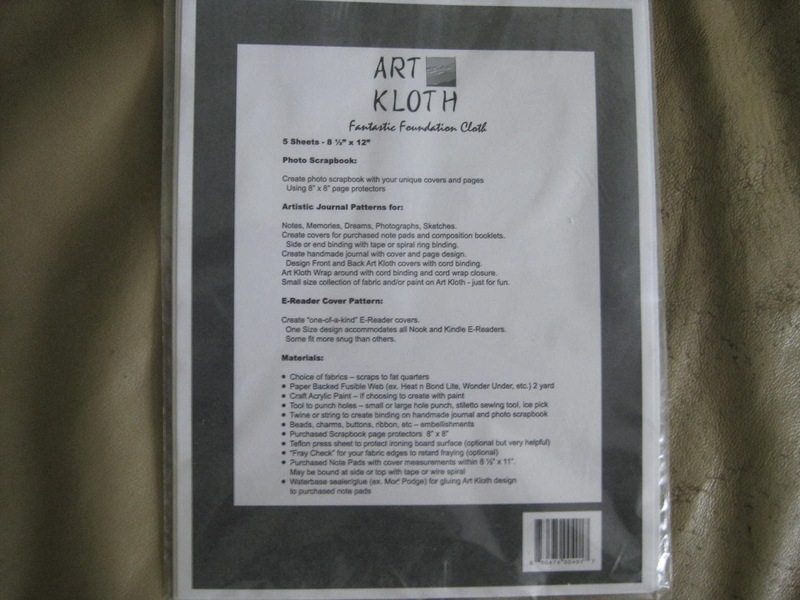 The next item was an Art Kloth Kit. Retail Price $21.00. You can use this to make a Quilt Journal for 2014. I think that is a great idea. My mom makes a lot of quilts and tries to take pictures of most of them, but this will be a nice organized way to keep track of everything she makes. 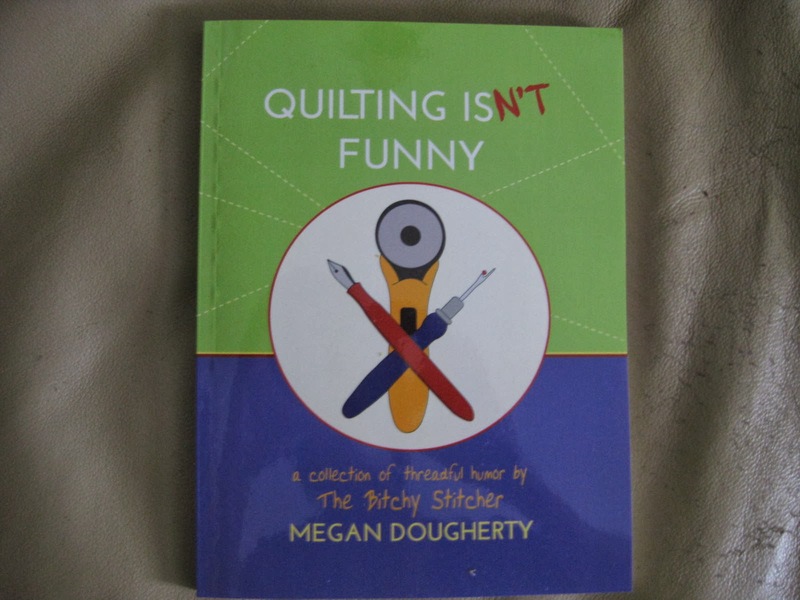 We also received Quilting Isn't Funny by Megan Dougherty (The Bitchy Stitcher). Retail Price $12.99. This is a book with a collection of stories all about quilting. My mom is very excited to take some time to relax and read this. I may even read it when she is done. It looks interesting (even if I'm not totally into quilting). I love that they included a book in this box! It's something I didn't expect to see, but looks like a fun read. 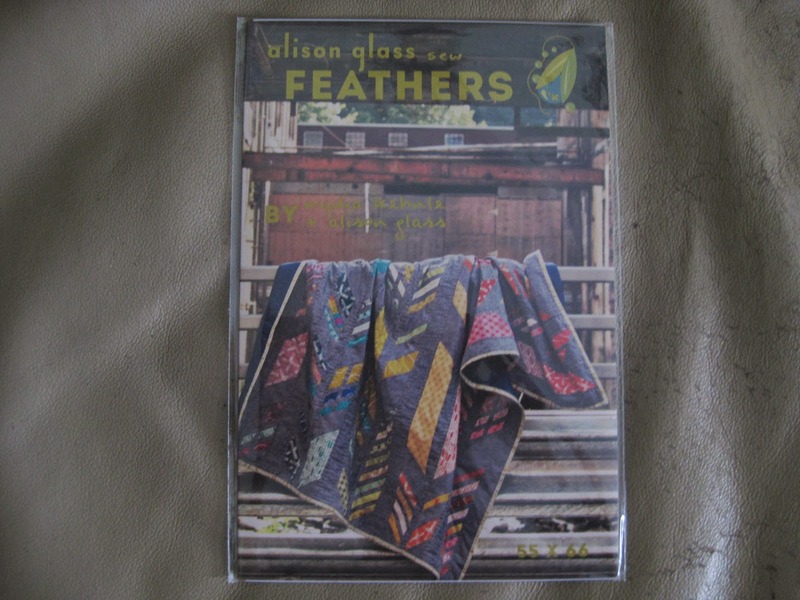 My favorite item in this box was this Feathers Pattern by Alison Glass. Retail Price $12.00. I love this and told my mom if she wanted to make me another quilt I'd love it in this pattern. I hope she makes it for me!!! I took a picture of the back of the package that had a better picture of the pattern, so you could really see what it looks like. 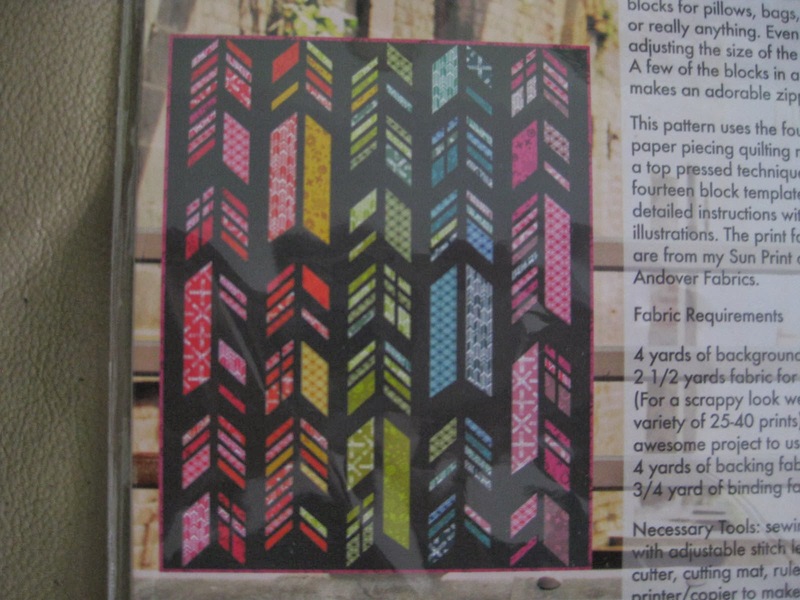 It also says on the sheet included that they will have a Quilt Along for this pattern, covering all the basics of paper piecing as well as more specific instructions for each block. My mom was very interested in checking that out, but can't find any more information about where she can find that. If anyone knows please comment below. Thanks! 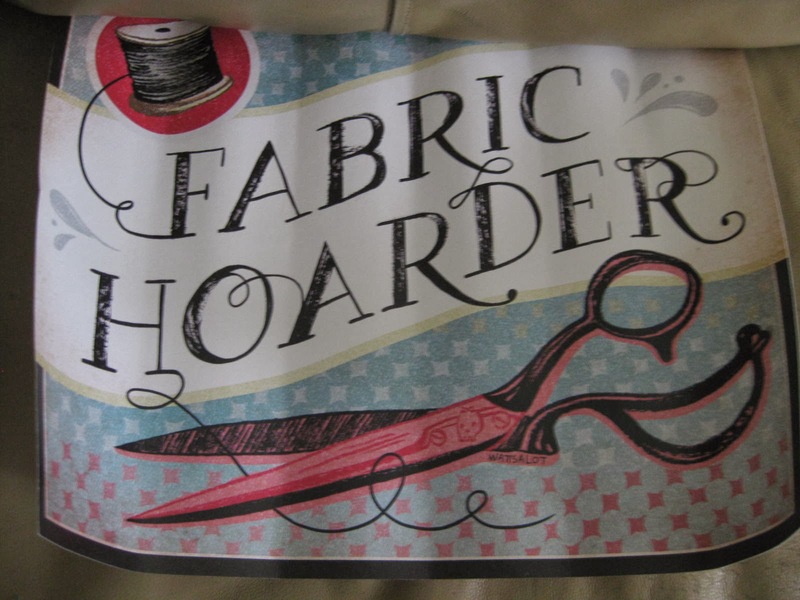 The final item in the box was this Fabric Hoarder Art Print by Sara Watts. Retail Price $20.00. My mom loved this print and wanted to hang it up immediately in her quilting room. Unfortunately, the way the box was packed the print was creased when it arrived. It came rolled, but the box was very thin and squished the print, so it is no longer flat. She is not able to frame it or hang it, because the creases will not come out. It was a nice, high quality print though that would have looked perfect in her room! 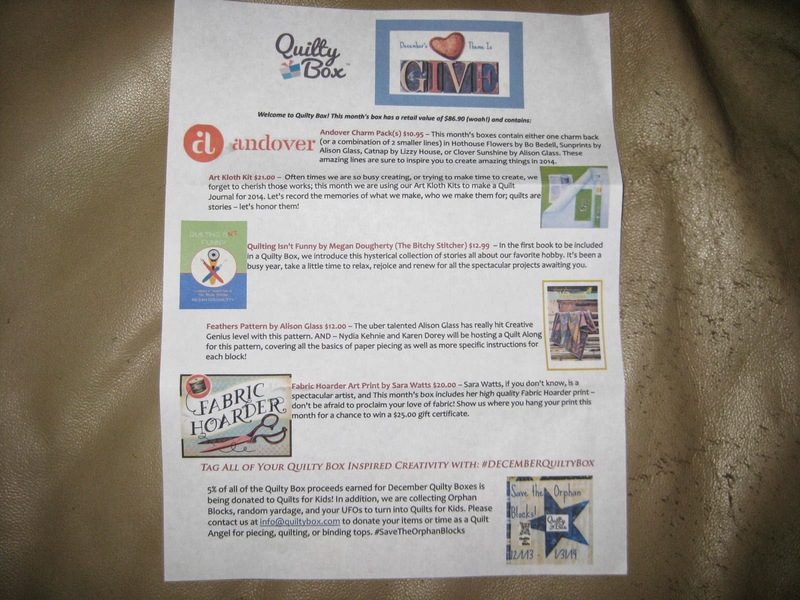 My mom loves Quilty Box and looks forward to completing the projects she receives each month. This box had a total retail price of $76.94, which is much higher than the price of the subscription. It also included quite a few unique items, which makes this box a fun one to open month after month. What do you think about Quilty Box? I was disappointed with the December box and have ended my subscription. I very much liked the Andover charm packs and the Feathers pattern. I have no problem with the book and expect I will enjoy it. The print and the Art Kloth were disappointing, and I could not find any value in either. My print was, as your mother's was, creased upon arrival. I have yet to figure out what I can do with Art Kloth that I can't do with another, much more accessible (and less expensive) medium. A suggested price of $20 or $21 is simply what the seller says it is worth; if I can't use it or see the purpose of it, it is of no value to me whatsoever. The October box started off with a bang but the other months have simply failed to deliver. For the $40+ dollar investment I would rather select items I know I want and will use.